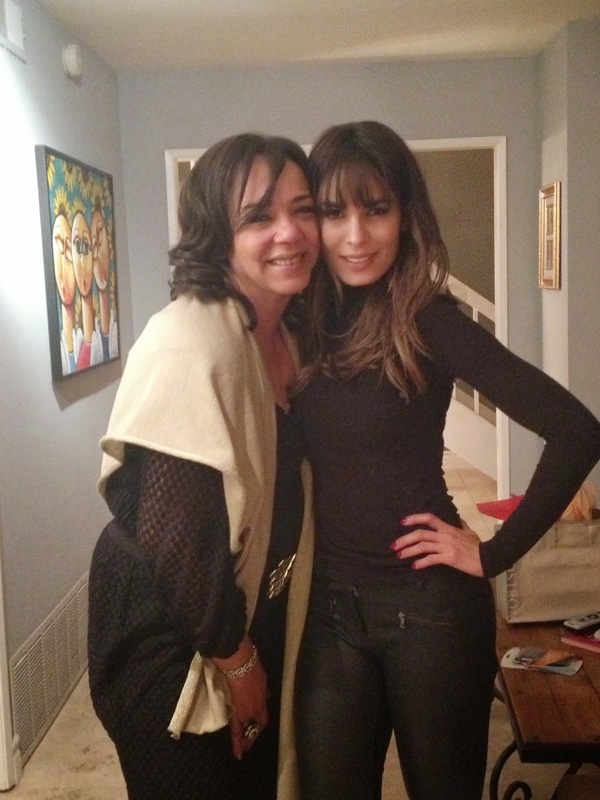 NADINE VELAZQUEZ: Go shorty, it's ur birfday! It was my mo' fo' birthday last wednesday. Career wise, I've come a really long way. Started off hating Los Angeles when I moved here at age 22. I was so directionless back then that I would spend my days in bed crying and wandering aimlessly on the streets wondering why I couldn't figure out my life or why I felt so out of control and underneath it all, why I just didn't like myself. I wanted so badly to be independent & feel myself as full woman with a career, a man, a home, with unstoppable confidence, running things like a boss lady--but I was so far from that. How it all unfolded is an entry for another blog but needless to say, here I AM! Having and experiencing what I longed for in my 20's. It has been a difficult journey of self discovery and acceptance (a journey I'm still on) but I have been passing the tests and I have been extremely blessed so I think I have done plenty right. The day started off with my girlfriend, Lisa Lovie, surprising me with a bday cake on the set of the movie I'm filming now called SHARON 123. It's a comedy about a geek who starts getting laid and is sleeping with three different Sharons. I play Sharon 2. Anyhoo, Lisa had the cake for me and everyone sang happy bday and I loved every moment of it. Here's Lisa. She may hate me for posting this pic. Then it was lunch with my girlfriends. 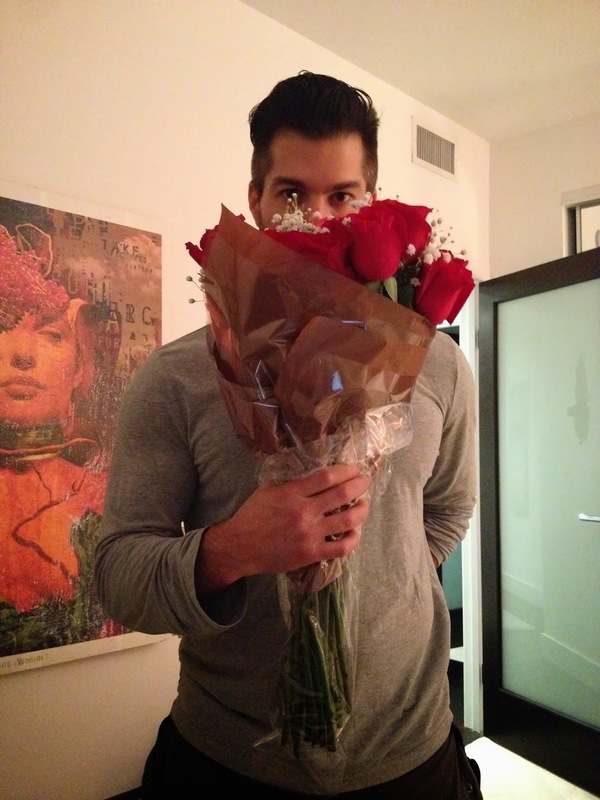 Then my boo came home with flowers. Here are my friends, David & Harvey, the singing Selena fanatics. And by Selena, I don't mean Selena Gomez. I mean the biddy biddy bom bom one. The ORIGINAL Selena. Here's Stacey. She's real purty. And we finished the night playing games. Here is a game of reverse charades. Um..it's MUSTACHE! duh! Bravo Velazquez! (tear in muh eye) Thank you for sharing. I gotta go find a Kleenex for these allergies. (allergies, yeah thats it). Love this! Honestly happy a Diego alumni is doing so well. Keep going girl...you have come a long way and I know you will reach wherever you want to go. Happy Birfday to jou! Wepaaaa!!! <3 Vanessa S.
Nadine -- We don't know each other, but I love watching you perform, and I am especially impressed by the line, "I love the results of faith and hard work." Keep the faith, baby, and keep working hard. The results show in all aspects of your life, and I hope to keep watching you succeed for many years to come. thanks darling. i appreciate it more than u know.